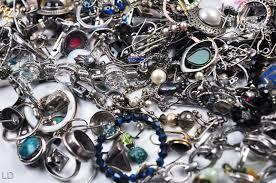 Scrap silver is an unfortunate term. Some customers who want to sell silver think it refers to broken and damaged or even industrial silver, but in fact "scrap silver" is a term which is used in the trade to apply to all silver items that are worth more for their metal than they are as items. This is how we pay more for silver than your local antique dealer.. Many so-called antique items and old items are actually worth more for their silver weight BUT your local antique dealer is not under any obligation to take the metal price into consideration and they often make an offer for an antique item BELOW the metal weight, so if they can't sell it as an item they can scrap it in with companies such as ours.. Many of our customers are pleasantly surprised how much more than antique value, they get for their items. Scrap does not mean a basement price. 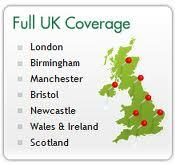 We have customers all over the Uk coming to us as silver buyers in Birmingham to sell their silver, and scrap silver. We are right in the middle of Birmingham's famous Jewellery Quarter, right where your local jeweller and silver buyer goes to to sell their silver to companies like us!! . We buy all types of silver including silver jewellery and sell silver coins all over the UK ie all grades from .500, .800, .925 and .999. We also buy all silver items fincluding : Jewellery, Coins, (see below) Bangles Bracelets Chains, Necklaces, Rings, Cups, Plates, Cutlery, Silver Tea sets, Silver Ingots/bars & Medals plus Industrial Silver Antique Silver Broken & Damaged Silver. Please note we pay more than antique dealers for silver, who often pay below scrap value, so if it doesnt sell they can scrap it in. Apart from silver cutlery and jewellery we also buy silver coins and we now urgently need all silver coins, whether full or half silver. 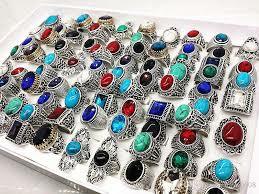 re Silver coins.. Prior to 1920 British silver coins contained high purity, 92.5% (Sterling) silver. From 1920 to 1946, British silver coins contained 50% silver. From 1947 to 1971, they contained no silver. 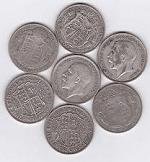 In addition, there have been some silver decimal coins minted as commemorative or collectible issues, typically in Proof condition; These ARE silver coins normally 925 or 999 silver The standard circulating denominations of pre-decimal British coins from 1800 to 1946 which contained 92.5% or 50% silver, included threepences, sixpences, shillings, florins, two shillings, halfcrowns, double florins, and crowns and we buy them all .US & Foreign Coins We also buy US coins (normally 900 silver pre 1965) and European and World coins Phone for more info.To sell us your old silver threepences, sixpences, shillings, florins, two shillings, halfcrowns, double florins, crowns rupees, roubles dinars and dollars etc . You can sell all your silver coins direct to us. NB British Silver coins. 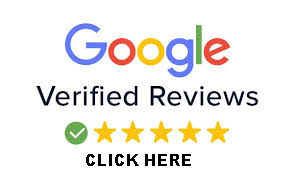 TO compare our coin prices with a "£1 face value" offer from a coin dealer, just get our calculator price for 112 grams after selecting the purity of .your coins eg 925 for pre-1920 coins and 500 for 1920-1946 coins. Here's the logic... A crown weighs 28grams so there are 4 x 28 grams in a pound ie 112 grams (and 8 x 14gram half-crowns also equals 112grams etc etc) But remember your coins wil be worn so the offer will be slightly less in reality. If you have coins to sell including foreign silver coins and are unsure what you are doing or need more info then then phone us on 0121 448 0488.......As at 02/03/2018 we were paying 40 times face value for pre 1919 silver coins and 20 times for half-silver coins between 1920-1946.